A cast iron horse head with excellent detail. 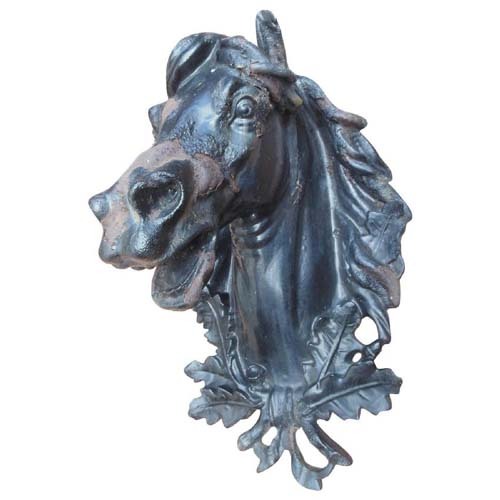 The cast iron horse head may have been designed to be mounted on a wall of a commercial stable or tack shop. The finish of the horse exhibits some paint loss which is also indicative of its age. Please note the oak leaves and bow under the horse head. Does this indicate it may have been a trophy in honor of a winning thorough bred horse?